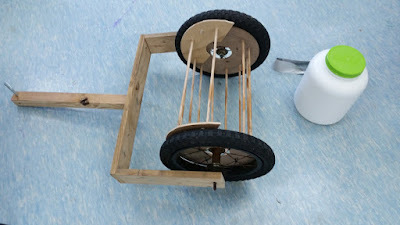 I got the idea to make this while working on a unit with our Junior Kindergarten kids about things that move. 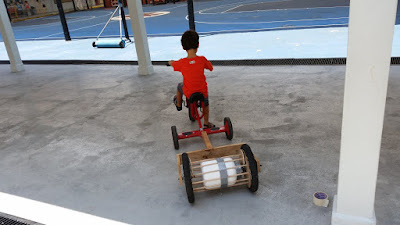 I brought my own kids to school on a weekend and we mucked about in the Makerspace and managed to put something together in an afternoon. 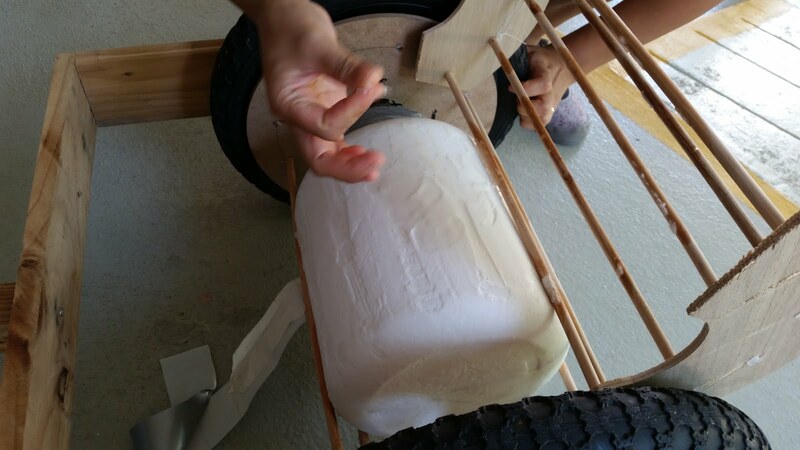 I pulled the tires off of a bicycle that I had found in the trash and cut a couple of circles on the router table out of some MDF. 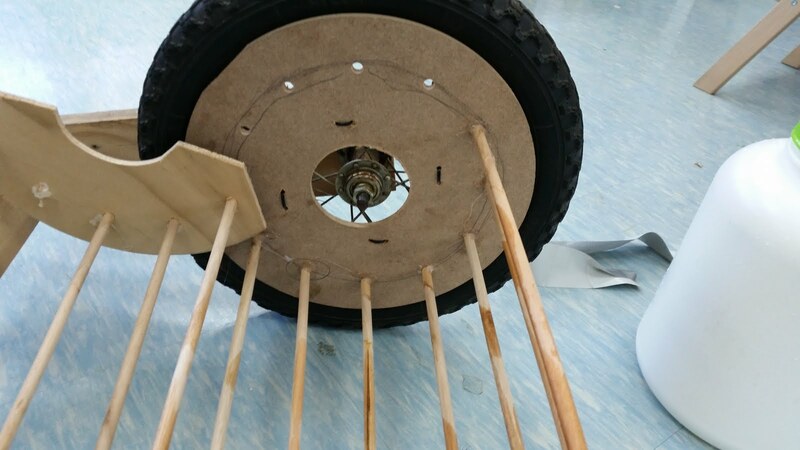 They are attached to the spokes of the wheels with zip ties. I drilled holes for some dowels and made a little hinged door. 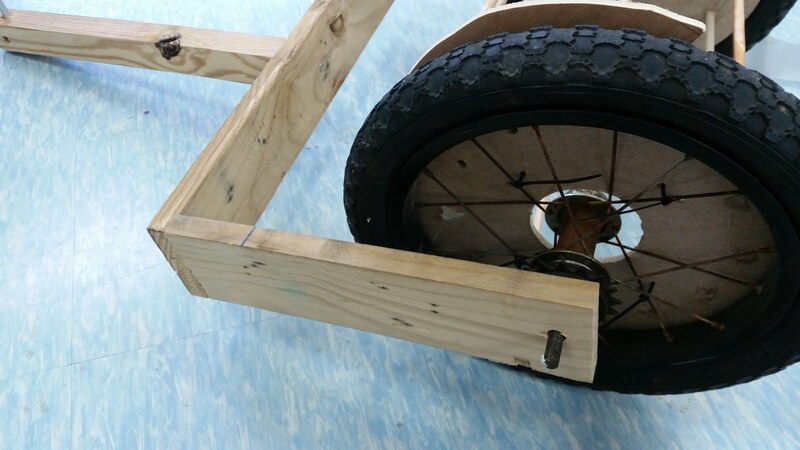 I built the frame from some pieces of recycled 1x4 from some old shipping crates and a 2x2 that I cut from a pallet. 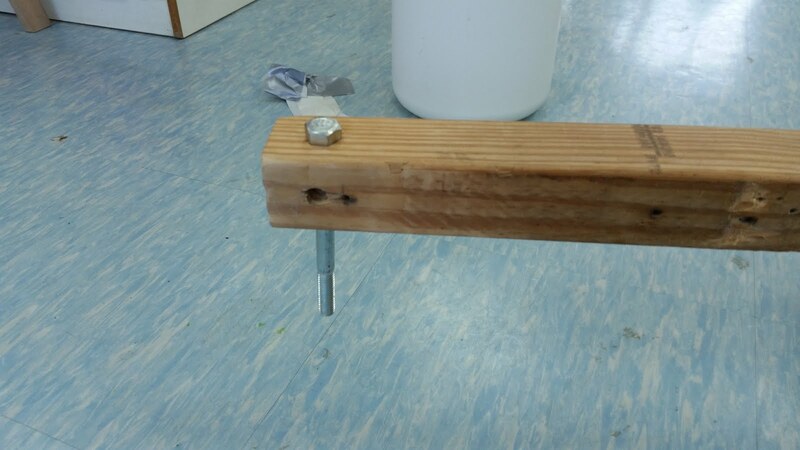 I drilled a hole in the end and drove a carriage bolt through it to make a hook to attach to the bike. 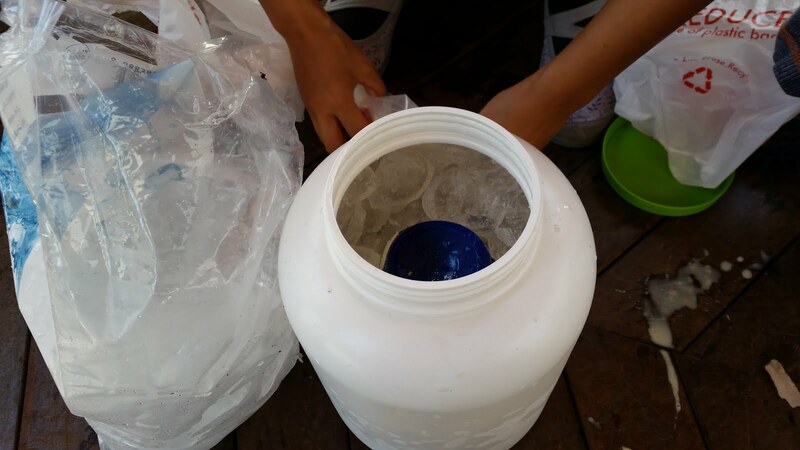 We filled a 64oz. 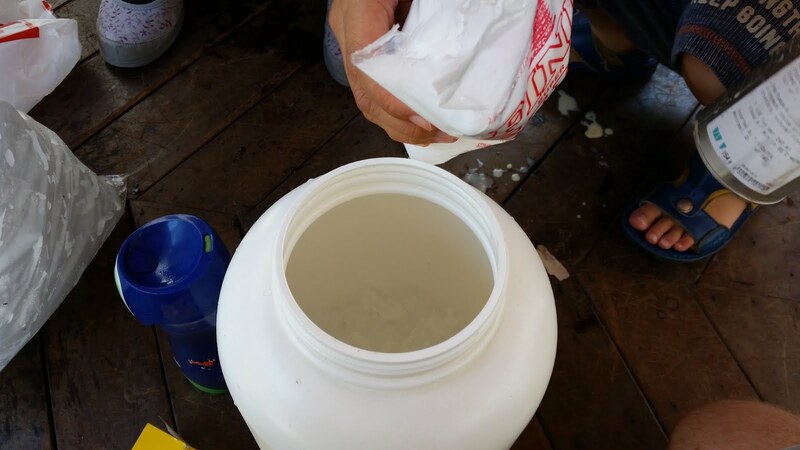 protein powder container with ice and salt in alternating layers. 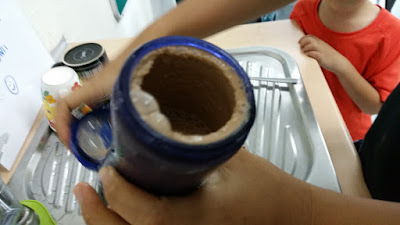 Then inserted a water bottle filled with cream, sugar and at the kids' request, some Milo. 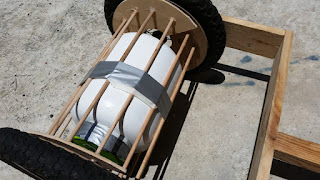 Then we put it in the bike trailer and used a little duct tape to hold it in. We hooked it onto the back of a tricycle on the playground and the kids took turns riding around churning the ice cream. After 20 minutes, there was a thick layer of frost on the outside of the container. It came out a little grainy, but frozen well-enough to call it ice cream. It was pretty tasty and the kids enjoyed it. The trailer was a bit rickety afterwards and a couple of the dowels came off while I was carrying it back to my room. It was a fun project and if you give something like this a try, I would love to hear about it.